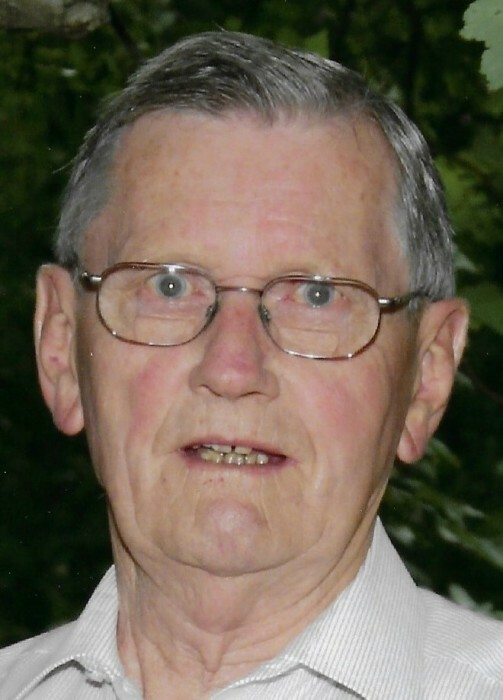 TEMPLETON – Paul A. McAuliffe, 91, of 8 Memorial Street, Baldwinville, died peacefully on the morning of April 9th at his residence, with his family at his side. He was born in Bellows Falls, VT on December 5, 1927, son of the late Charles R. and Mary “Polly” (Kelly) McAuliffe and was a graduate of Bellows Falls High School in 1947. He married his wife Helen P Prendergast of North Walpole NH in 1956 and soon started building their new lives together creating their large family of 6 children. Paul and Helen planted their roots in Baldwinville in 1976 with their children and soon to come grandchildren and great grandchildren. Paul proudly served his country as a member of the United States Navy during the Korean War. Paul was a life time member of the American Legion, The Moose & Honorary Member of the Knights of Columbus. Paul worked as a Superintendent at Moore & Thompson Paper in Bellows Falls, VT, Burrows Paper in NY and concluded his career at Baldwinville Products Paper Mill as the Superintendent in 1989. Paul was an avid sports fan and followed the Boston Red Sox, New England Patriots, Boston Celtics and Notre Dame football. Paul and his wife Helen truly enjoyed entertaining during the holidays, the many family gatherings and of course always, a special cheer at St Patrick's Day (surprising us all in 2013 it was NOT their anniversary) with their family and friends. He was never at a loss for words for a good conversation about growing up the youngest of 8 in VT, sports or just finding out how thing worked, as a true mechanic does. Most important, he was always waiting to hear the latest about his grandchildren and great grandchildren's many activities and sporting events. His wife of 57 years, Helen P. (Prendergast) McAuliffe, died in 2013. He leaves six children, Michael P. McAuliffe and his significant other, Carol Sault of Baldwinville, Charles R. McAuliffe of Baldwinsville, NY, Patrick J. McAuliffe and his significant other Dana Hoover of Leesburg, VA, Paul K. McAuliffe and his wife Kathleen of Baldwinville, Brigid Lambert and her husband Billy Jr. of Gardner and William J. McAuliffe of San Francisco, CA; six grandchildren, Gretchen, Jessica, Maxwell, Amanda, Matthew and Shannan; 7 great grandchildren, Sophia, Gwyneth, Augustus, Harrison, Henry , Payton and Mia and many nieces and nephews.